The Mount Edgecombe Country Club Estate (MECCE) community recently joined hands together to organise and donate over 50 pints of needed blood to the South African National Blood Service, which was in a critical state with only five days of blood and just half a day of plasma left. 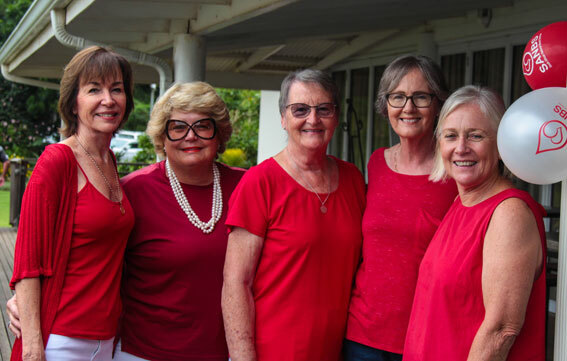 A committed group of local ladies from Grace Church, uMhlanga who in the past have organised an array of charity projects,worked together with Mount Edgecombe Country Club’s management to organise a Blood Drive. Desiree Stone, CEO of Mount Edgecombe Country Club and Estates 1 and 2 said, “Blood donations are incredibly important and it’s also something close to my heart. “We all rely on blood in our time of need, but many children need blood when they are fighting for their lives. We thought the initiative suggested to us was a wonderful idea especially because we have such an interactive and caring community, so we knew it would be well supported. A three week build-up to create awareness about the Blood Drive within MECCE and surrounding areas garnered huge support with the end result being that more than the intended 50 pints of blood was collected for the South African National Blood Service.